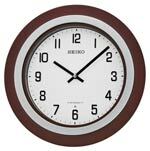 Seiko Melody In Motion Wall Clock Seiko Melody In Motion Wall Clocks play a tune on the hour with animation. 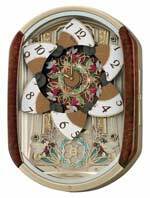 Seiko Musical Clocks offer movement which may include a moving dial, lights and other moving figures all in sync to the melody. We are a full service Seiko Musical Clock Outlet. Order online or please visit us at our showroom.